Female patient. 2000 grafts. Strip. 1 year. Nice look, she must be really happy. 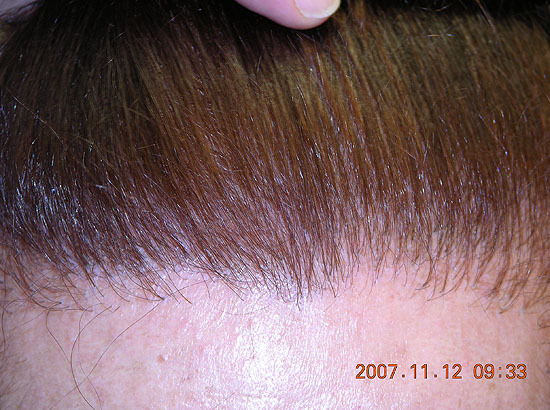 As you can see this female patient had a Micro Grafts Hair Transplant in the past so we had to work taking that on consideration. 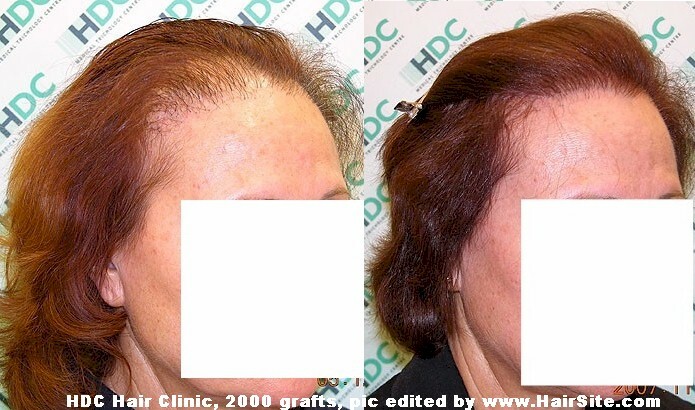 I would just like to share with you our experience that there is an increasing interest from women for hair transplants. The share of our women patients was way less than 5% in the past but lately this percentage rose to the level of 5-10%. What is the experience of other Clinics/Doctors? Yep. For a woman to have plugs must be twice as depressing. They did a good improvement. I hope she feels much better about her self, cannot be easy. Did you remove any of the plugs in the hair line? it seems you left them there and put the hair behind them, any post op pictures please. » I hope she feels much better about her self, cannot be easy. » there and put the hair behind them, any post op pictures please. She was negative in removing plugs right from the beginning and we agreed that she would see the final result and then come and remove plugs that would make the result look unnatural. So she is now due to come and remove some plugs in the near future. Unfortunately we do not have any immediately post-op photos in file. » » I hope she feels much better about her self, cannot be easy. » » there and put the hair behind them, any post op pictures please. » some plugs in the near future. » Unfortunately we do not have any immediately post-op photos in file. Ya a girl having to get plugs must be way worse. Why did the transplanted hairs fell out? I thought they are supposed to be permanent. If they fell out the first time, how do you know it won’t happen again? She might be wasting her money over and over again. » » » I hope she feels much better about her self, cannot be easy. » » » there and put the hair behind them, any post op pictures please. » » some plugs in the near future. » » Unfortunately we do not have any immediately post-op photos in file. » happen again? She might be wasting her money over and over again. 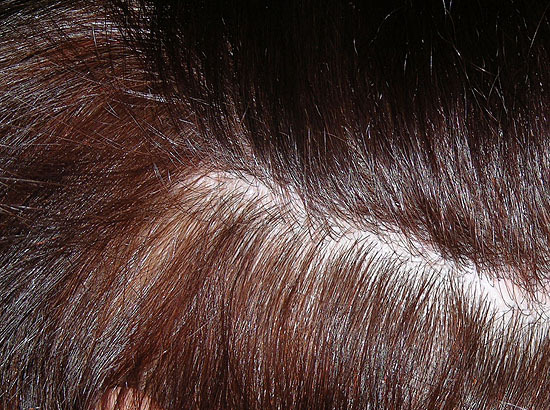 I bet you she lost her own hair after the 1st transplant. You can see the grafts are still there. She did not lose her transplanted hair. It is her own hair that fell out. The plugs are still there. Maybe the plug’s transplant caused the trauma to her own hair. This is a possibility but we can not know for sure.